We are happy to anounce the 3rd European Urban Green Infrastructure Conference in London. 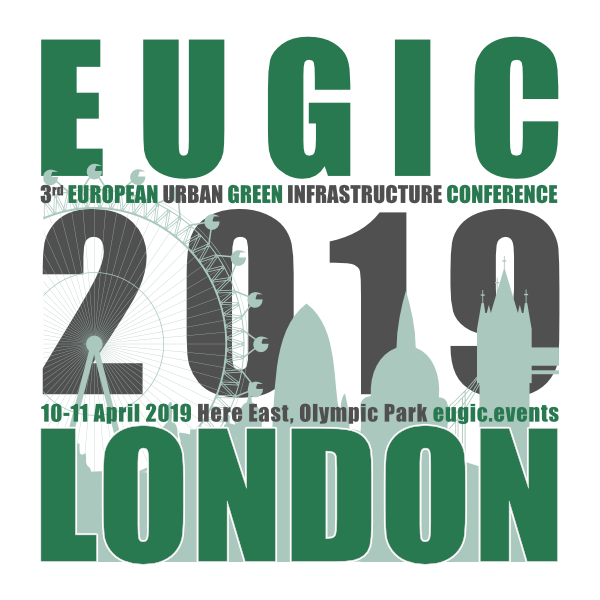 EUGIC 2019 London – the 3rd European Urban Green Infrastructure Conference – is an interactive, inspiring and fun event, celebrating urban greening across Europe and beyond. Short presentations and lots of interactive discussions, workshops, seminars and exhibitions mean plenty of informal knowledge exchange between municipalities, industry, community and academia. Come and share expertise working with nature for climate-adapted, resilient, healthy cities.